Mr. Sussman studied at the John Herron Art School; The Art Students League; the Ecole des Beaux-Art, Paris, France, and the Academy in Florence, Italy. In 1973, he was awarded an Edward G. McDowell Travel Grant. Upon his return, he became apprentice to Jose de Creeft. In 1976, Mr. Sussman became Sculptural Technician, and later Dean of Students at the Skowhegan School of Painting and Sculpture, in Maine. In 1979, he became Director of the Sculpture Center School in New York City. Under his guidance, the Center became one of the most comprehensive sculpture facilities, establishing scholarship and intern fellowship programs for sculptors. He is currently the President of Fog Hill & Co.
Mr. Sussman has had many commissions and is included in many prominent collections, notably Yale University Scroll & Key; Rockefeller Center and Radio City Music Hall; The Museum of Science and Industry in Los Angeles, California; the Museum of the Bank of New York, Sunnyside Park, Irvington, New York; Proctor & Gamble, Cincinnati Ohio; GTG Group East; and USA Today Show, Washington, DC. 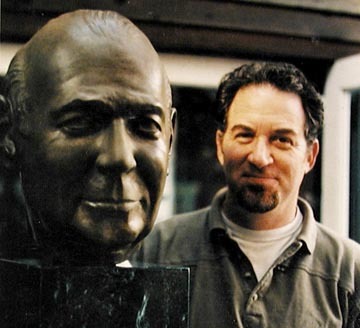 He has exhibited widely at such venues as Augustus Saint Gaudens National Historic Park, New Hampshire; Bethune Gallery SUNY at Buffalo; Colby Museum at Colby College, Maine; the Museum of Rochefort-en-Terre, Brittany, France; the Sculpture Center Gallery, New York City, and the Southern Vermont Art Center, Vermont. He has been artist-in residence at Rochefort-en-Terre, Brittany, France, 1990, consultant for International School of Art, Umbria, Italy,1993, and resident artist in North College, Elgin, Scotland, 1999. Mr. Sussman is a past Director of the Art Students League Vytlacil Campus in Rockland County, New York. 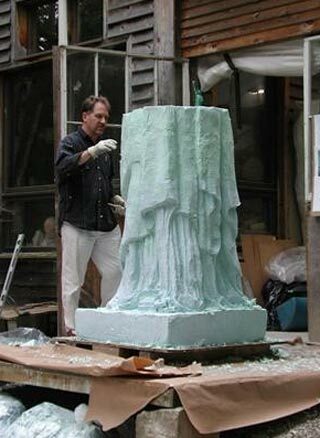 He is a Fellow of the National Sculpture Society, a life Member of the Art Students League and is listed in Who's Who in American Art, and Who's Who in the East. G.L. Sussman was the 2014 recipient of " Dr. Jack R. Anderson Lectureship " from the American Academy of Facial, Plastic, and a Reconstructive Surgeons 2014. Click to see the video. Past Founding Director of the "League Residency at Vyt", and the Elizebeth V. Sullivan Gallery of the Art Students League of N.Y. 2004-2014.
International Residency Program for Post Graduates, Professors, and Professional Artists. Over 504 residents, form 35 countries, and counting. Established the Elizebeth V. Sullivan Gallery at Vyt, of the Art Students a League of N.Y. , with 15 curated exhibition of Fine Art. Established accreditation for courses taken at the ASL for St. Thomas Aquinas, and Dominican College. As Educational Director of Art Students League Vytlacil Campus and the past Director of the Sculpture Center, 1979-1989, a non profit 501C3 tax exempt educational facility in New York City, Mr. Sussman's responsibilities encompassed all operations, including by not limited to community outreach, public relations, fund raising, publications, and the on going educational facility year round. Under Mr. Sussman's leadership, many scholarships and intern fellowships were established for aspiring artists of all ages and for reaching out to other communities. As Director, Mr. Sussman often gave public presentations, lectures, and demonstrations. The Sculpture Center afforded Mr. Sussman many opportunities to work with government agencies; city, state and national regulatory agencies. An educational facility open to the public requires necessary inspections, and compliance with regulations. In addition, Mr. Sussman has experience working with public funding, with the National Endowment of the Arts, the New York Foundation of the Arts and New York Council of the Arts. In the capacity as educator, and current instructor at the Art Students League of New York, articulate leadership is critical. As instructor, a wide range of expertise in different materials, processes and technical knowledge is essential. G.L. Sussman has been hired as a consultant for sculptural engineering expertise, for public and private monumental installations throughout the US. In addition, Mr. Sussman was hired as a spokesperson for Proctor & Gamble's educational program for the States of California, Nevada and made public presentations on live television, radio, and all mass media.